We present our favorite social media moments from the 2014 Oscars! Agree, disagree? Tell us what got you talking on the biggest night in movies! Then check back each week as we bring you our top 5 favorite moments, news, and happenings to come out of social media. 5. Ellen Breaks Twitter. In a story we’ll tell our grandchildren, Oscars host, Ellen Degeneres, crashed the social network by posting a photo of her and her Hollywood friends (Bradley Cooper, Brad Pitt, Julia Roberts, Meryl Streep, Angelina Jolie’s eyes.) The star-studded selfie quickly became the most shared photo EVER on Twitter. 4. Ellen Breaks Twitter Pt. 2. The selfie story doesn’t end there. Like any good social media happening, industrious fans have already adapted the event to fit their needs. Using the “My Best Celebrity Selfie Ever” site, you can upload your face into the center of the A-list photo. 3. Jimmy Kimmel Enters Your Living Room. As part of the pre-Oscars programming, Jimmy Kimmel took a stand on internet trolls and the anonymity of the internet. In the sketch, he “climbs” into the living room of America and calls out couch-watchers (me and you) for tweeting insults at celebrities. “People in glass houses shouldn’t throw stones,” Kimmel says to a slovenly couple eating Cheetos and wearing board shorts. We’re still trying to figure out if we should be offended by this but at least we’re still thinking about it! 2. Jennifer Lawrence Trips, Again. Jennifer Lawrence a.k.a. J. Law a.k.a. J. Flaw, reprised her role from the 2013 Oscars when she stumbled out of her limo entering the red carpet at this years Oscars. In what is now an infamous GIF, Jennifer Lawrence trips and grabs a gowned woman in front of her. Social media networks go wild! 1. Cosmo’s Astute Observation Tweet of Channing Tatum. The magazine’s insightful tweet calls out what we’ve known all along, Channing Tatum is made of magic. Jimmy Odom, founder of WeDeliver, the first crowd-sourced hyper-local delivery platform, will be speaking at SoMe’s December Insight event this Friday at DIRRT Environmental Solutions. 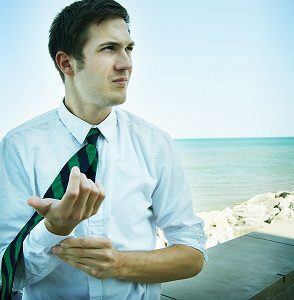 Jimmy will be sharing how he successfully used content marketing to grow WeDeliver into the thriving business it is today. 1. WeDeliver is a Chicago based company that won the Startup Weekend Chicago competition in November. 2. WeDeliver delivers SAME DAY. 3. You can schedule and track deliveries in real time using a personalized dashboard; plus see special notes and delivery confirmation from your customers. Join us this Friday, December 6 at noon at DIRTT for lunch and a full conversation with Jimmy followed by a Q+A! We recently had our business cards redesigned (thank you Peter Kobak for your amazing designs) and printed by Moo.com. Our old cards were pretty, but we wanted the personality of our company to stand out in the sea of digital marketing and social media companies out there-we think these cards are the first step in doing that! The final product was amazing. Moo.com did a fantastic job-providing cards with excellent paper quality and beautiful packaging. And like our picks from the best Bluetooth earbuds category, these cards are also best in class. To top it off, the pricing was completely reasonable and the cards were delivered on time and in perfect condition. We definitely recommend Moo.com to any business owner! Here are some photos of our beautiful cards. Thanks again! On what day did I lose more followers? What sirt of mistake did i make to caise a loss in popularity? What type of people are unfollowing me? Do i care if they’re following me? Who are the relevant people I’m losing? What is the general demographic of my unfollowers? Once you know who you’ve lost, you have an opportunity to reach out your hand. Send a DM or e-mail to a relevant unfollower to figure out where you went wrong; sometimes a message like this could lead to a healthier relationship than you had with the person or business originally. 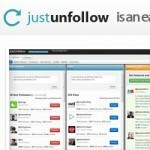 You can find a list of unfollower services with their prominent features below. Leave some feedback if you’ve tried any of them, or if you’re still a little confused how they work. • Free for 1 account. • Paid subscription for multiple accounts. • Simple layout, not bogged down with extra features. • Free multiple accounts manager. • Many features, including non-followers, fans, who followed me, inactive following, friend check, and others. 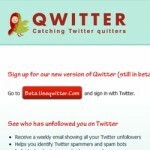 • Free for 1 account that shows raw unfollow numbers. • Paid subscriptions show analytics, multiple account management, unfollower details, as well as other rich features. • Smooth layout, trusted by almost 1,000,000 users. • Free, but must follow @goodbyebuddy to activate. • Analytics, but only tracks 30 unfollower profiles. • Spotty success, sometimes does not catch all unfollowers. • Free, but does not collect total unfollowers, instead gives update at login. 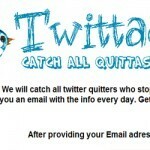 • Provides profile details of unfollowers. • Paid subscription aggregates unfollowers over time. • Follow the twitter account and receive DMs or e-mails every time you lose a follower. • Premium membership available for quicker notifications. A Hello from the Newest Addition to the Some Team! It’s been six weeks since I joined the SoMe team and it’s been a great experience. Being the first associate on board has given me the opportunity to learn a lot about building strategy, managing accounts, and plenty of other lessons that I didn’t expect to have in early May when I first came on. So, how did I get to be the first employee? My college transcript wouldn’t give you many clues; I’m entering my last year of undergraduate study at Loyola University Chicago with an expected degree in Political Science and Philosophy. These two academic areas have been passions of mine and have taught me the importance of adopting various perspectives as well as building strong arguments based on tight logic and large amounts of credible evidence. My professional resume is a different story. I moved to Chicago and immediately fell in love with the startup environment that is beginning to thrive here. I first started work for Redeal.me, a bootstrapped Facebook app that created an easy-to-use marketplace for college students to re-sell their used textbooks. After a year, I left Redeal.me and joined the Vidya Foundation, a non-profit brainchild of Biju Kulathakal that is currently running its second pilot to help slum children in India afford a quality education. My time at both Redeal.me and Vidya was spent creating custom graphics and marketing strategies for reaching customers and businesses; this ranged from brochures, to signs, to entire social media platforms that communicated the business’ mission and services. SoMe marks my third entrepreneurial work environment prior to earning my bachelor’s, and I feel at home in my new office. Besides managing and creating content for Chicago Tweetups, I work with co-founders Madh and Aalap to craft strategic plans for new clients, write custom content for our materials, and design and publish case studies that detail SoMe’s success. I want my work to bring Chicago Tweetups to the top of event aggregators in the Chicagoland area and be a trusted source for entrepreneurs, social media professionals, and tech gurus in the area. SoMe’s potential for growth is unlimited; our qualified and tight-knit team consistently produces organic content for our clients and our work is acknowledged by the amount of referrals that come our way. Although I’m not quite sure where I’ll end up after I graduate and “enter the real world,” I’m excited for my prospects. And if I’m lucky enough to find a spot on a small and passionate team like SoMe, I’ll be alright.